Long before Ellis Island, there was Lazaretto. Where Route 420 ends at the Delaware River, you’ll find Lazaretto. Considered both the oldest surviving quarantine hospital and the last surviving example of its type in the United States, it was built by the newly created Board of Health after the Yellow Fever Epidemic of 1793 killed off one tenth of Philadelphia’s population. Thereafter, every vessel headed toward the port of Philadelphia first stopped at Lazaretto. Later, it was the home of the Philadelphia Athletic Club, then a flight school during World War I and then a seaplane base. Speaker Barbara Selletti will paint a vivid picture of Lazaretto’s long and fascinating history. ABOUT THE SPEAKER: Known as the “Lazaretto Lady,” Barbara Selletti is a local historian, genealogist and Neumann University librarian. She and her husband, Tony, were instrumental in the effort to save and restore the Lazaretto. The program is free and open to the public: Monday, June 12 at the Helen Kate Furness Library on Providence Road in Wallingford, starting at 7:30. In February, the Philadelphia Inquirer published a piece about the Kassab family. Penned by a granddaughter of the patriarch who brought the family to Nether Providence, the article was entitled A Syrian Immigrant’s American Story. Marie Kassab Helfferich described her family’s roots in Syria and the welcome they experienced as immigrants at the turn of the twentieth century. 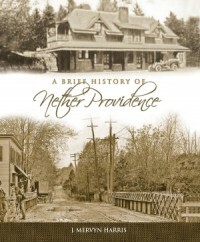 The family is so well established in Nether Providence and Media that you would be hard pressed to find a longtime resident without some connection to a Kassab. Many were patients of the family – more than a few of Dr. Kassab’s progeny were or are dentists. Did your family’s immigrant story find its way to our township? We’d love to feature it here. Send an email to info@nphistory.org.